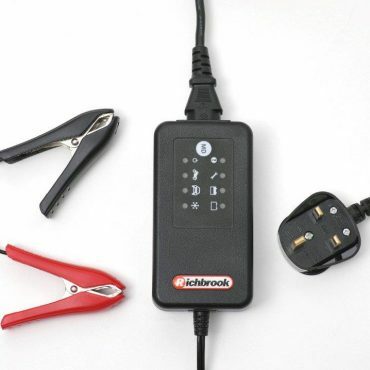 Disconnect all battery functions with a simple turn of the removable key with the Richbrook Battery Master Switch. 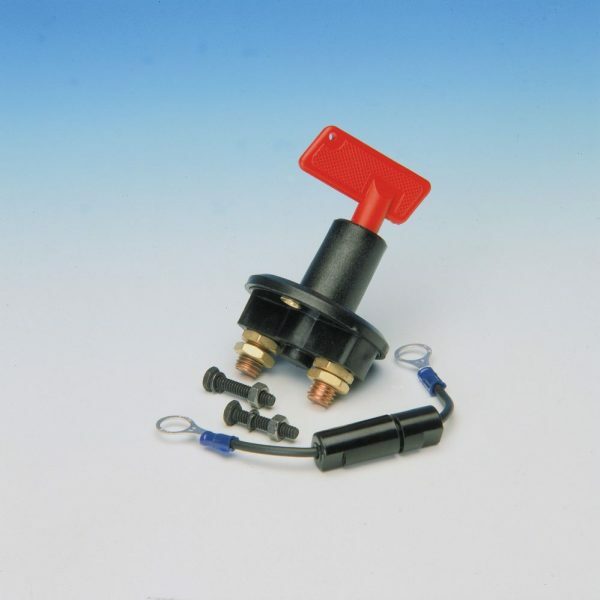 This is a high-quality, heavy duty battery switch which is perfect for motorsport and leisure applications. 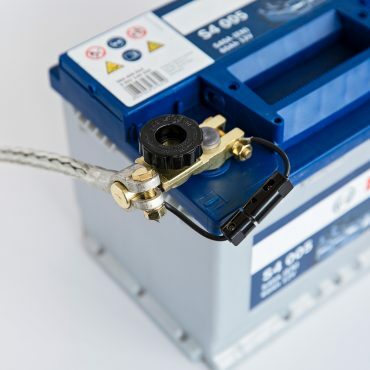 The battery master switch also includes a fused link to allow low drain items like clocks and radios to draw a small current to keep them on. An incredibly tough teflon tether threads onto the wheels valve ensuring that the valve cap can never be lost when checking tyre pressures. 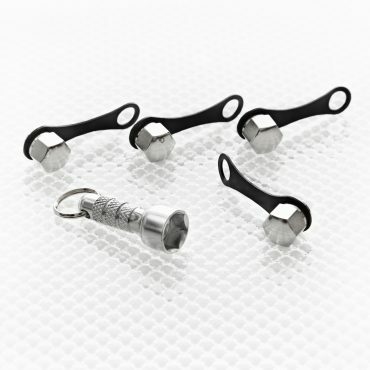 The cap itself is free to spin easily within this tether and, better yet, the pack contains a smart little knurled aluminium “Clean Fingers” security tool to ensure that no matter how much dirt, salt or brake dust is on your rims, you never need get your fingers dirty again! Auto Express said “Like all the best ideas, Dis-Car-Nect is simple and very effective” awarded their 5 star highest rating! ‘Dis-Car-Nect’ fits in minutes to ALL battery types. Simply unscrew the black knob and, if the ‘fuse link is fitted, current will be maintained to all electrics – except the starter motor which will blow the fuse if an attempt is made to start the car! If the ‘fuse link’ is not fitted all power is cut-off preventing battery drain and electrical fires in classic cars and cars in storage. A slimmed down version of our deluxe Pro Start kit containing just the button and bezel. Ideal for those who really know their wiring – kit car and pitlane gurus – or anyone who just has a mass of old wiring in the workshop and knows how to make it work. If this isn't you.. better go for the complete kit! Simply connect the Intelligent 12v Battery Trickle Charger your cars battery and forget about it! ‘Intelligent’ circuitry means It will automatically maintain a full charge, switching on and off as need be so your battery will always be fully charged when you want to use your car. No more jump starting your car – which can damage circuitry on more modern cars – or replacing batteries which have gone flat once too often and do not hold a full charge anymore.